It was nice to have a bit of a normal week this week. 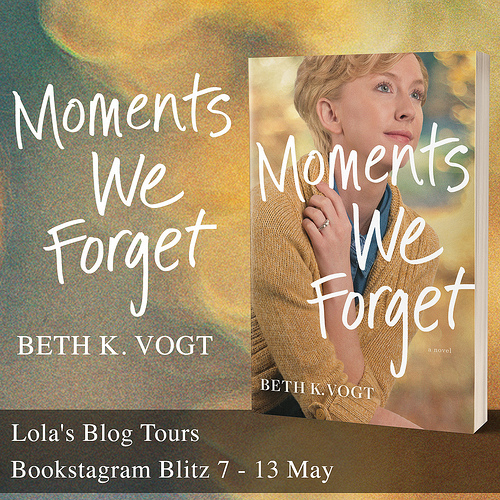 I worked on some new tours, the sign-up post for a new blog tour went live. I also did some hours of assistant work. I read a bit and my puzzle is coming along nicely. And my new design is here. For now I just uploaded the new graphics and I changed the colors of the comments to blue instead of yellow, but I might tweak a few other colors as well. But this was enough change for a day. I haven’t changed the graphics on any past posts yet, but the new graphics will be on any future posts. I am so happy with the new design! 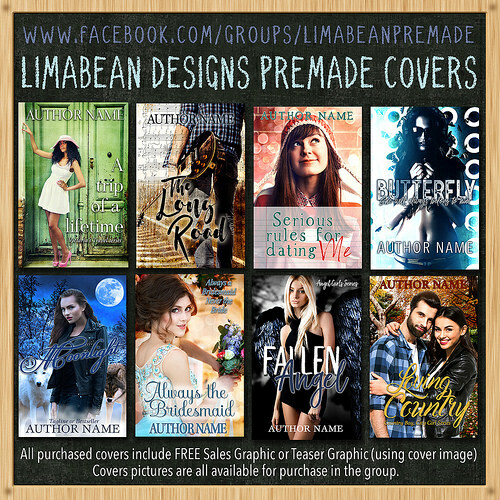 I can’t thank Michelle from Limabean designs enough for designing it! I decided to change my design as some people associated the pony with my little pony and as I have watched only one episode I found that a bit misleading. I also never was sure if there were any copyright issue with using the pony as it was based on an existing my little pony picture. Besides that I wanted something new and fresh after all the years of having the pony, but I also kept a lot of elements the same, like the font and some of the colors. I will miss the pony, but I am so happy with the new design, so that really helps. I am still in this weird reading mood. I am enjoying the books I read, but I feel like they aren’t exactly the type of books I want to read. That seems to limit itself to my ipad books. I’ve been going full mood reader for my Kobo/ evening read since the start of the year and I seem to have no problem there finding the right kind of books to read. Probably because I am now limiting review copies to my ipad, so I can stay moodreading on my Kobo. But even if I decide to pick up a moodread book on my ipad I can’t figure out what, so I just read review copies for now. 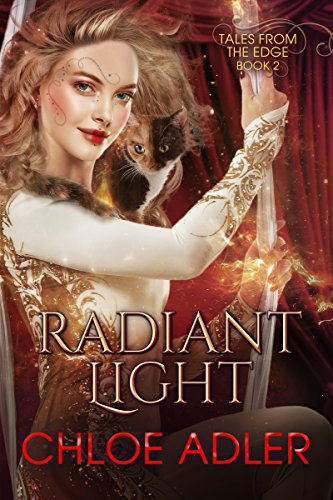 Radiant Light was a great read, it was a good sequel and I liked al the focus on the characetrs and reltionships and the relationship issues. I didn’t really care for the ghoul plot line. 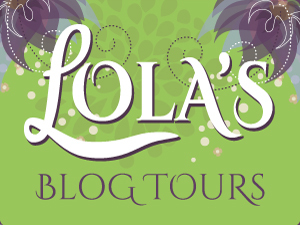 –Blog Tour: Everything Under the Sun by Jessica Redmerski – 30 July till 12 August – New! I got all these three books for review. Death of a Russian Doll and Seducing Kaden are next books in series I am following. And Power of Five is a new series by an author that I only read a novella by so far (which was great). I am really curious about this book since I first heard of it, so I am excited to have gotten a copy. When’s the last time you changed your blog design? It’s fun to have a fresh design for your blog I am sure. I haven’t checked in on you for awhile and I am sorry. I can’t seem to keep up for some reason. I am interested in how you make tomato pasta though. I love pasta just about any way you can make it as long as it doesn’t involve mushrooms or seafood.French bread pizza sounds yummy too. It’s middle of the night here and I must be hungry.Ha. Hope you have a good reading week! It’s fun to have a fresh design indeed. I also have trouble keeping up with blog visiting, so I totally understand. I think I linked to my tomato pasta sauce recipe in the post, it’s mostly a lot of tomatoes, some veggies and bouillon cubes and some garlic for the flavor. We ate it with spaghetti one day and then put it on french bread for the next day. Awe, I like the new design! Sorry about the weird reading mood though, hopefully it will get better for you. Happy Sunday! I am glad to hear you like the new design :). I am really happy with it as well. My reading mood seems to go a bit better again this week, so who knows, maybe this continues. I love the fresh look. Shari tries out new looks once in a while and its fun. Such a friendly llama and I don’t blame you for wanting to avoid a potential copyright issue. 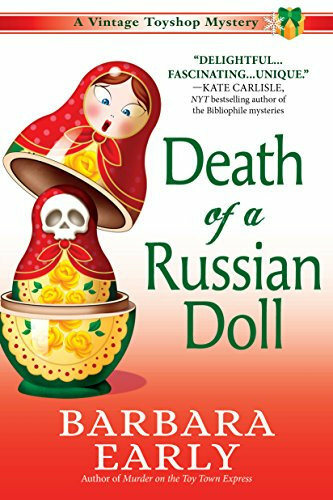 The Russian Dolls mystery has a pretty cover and looks interesting. Hope you enjoy the new haul of books. Thanks! I am glad to hear you like the fresh look. I hardly ever change my design as I was mostly happy with it, but I thought it was time for a new logo now. I think my reading mood is slowly getting better, so I hope that trend continues. I enjoy that cozy series so far so I hope this book is a good one. LOVE the design! That Llama is just adorable! I can’t get enough of his face. I totally understand your weird reading mood since I have been in one forever. You just have to read what you want. Maybe take a day or two and not read. That might help you better focus on what you are in the mood for. 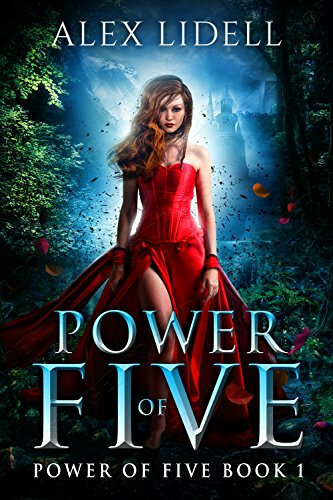 Love the cover of Power of Five….need to go check that one out since my mood is in a really unusual place right now for me. I am so happy with the new design and I keep looking it at it and thinking how cute it is. Thanks so much! I seem to have been in this weird reading mood on and off for a few months now and it’s so annoying. I agree, the cover for Power of Five is great! And it sounds like a good one. I hope to read it soon. I am glad the new logo worked with my current color scheme and still is a fresh change :). The cabbage dish is really good and quite quick to make as well. I love the new design. So cute. I’ve been doing a bit of mood reading too. I’ve got 3 ebooks in queue and 5 audiobooks and I’m listening to a book from the library. Thanks! I am glad to hear you like the new design. It’s annoying when a weird reading mood hits. This week is going a bit better, so that’s good. This is the first time I did a big change on my blog as well. I never really had the urge to change it until now. As long as you make a backup before you change anything there’s probably little risk of really messing things up. LOVE your new design. It’s funny, because when I FIRST started following you years ago, I did associate it with My Little Pony, but quickly realized it wasn’t the right association. Probably a good move switching it up. Love Michelle’s work. 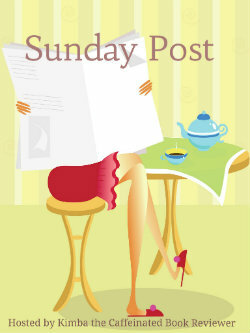 Berls recently posted…Sunday Post with Berls | Please be Spring! I figured most visitors nowadays know I don’t have anything with my little pony, but I cna’t blame new visitors getting that first impression. So I thought it was a good change to get rid of the pony and the new logo is so cute. Michelle really did a great job with the design and I couldn’t be happier with it. I read some great Reverse Harem books so far, and something about Power of Five really caught my attention. I hope to read it soon. I haven’t changed anything on my blog for quite a while. I love the color scheme I use, and I also had someone make my header, button, and other things to mesh with my personality, to I totally get why you wanted to do that, Lola. 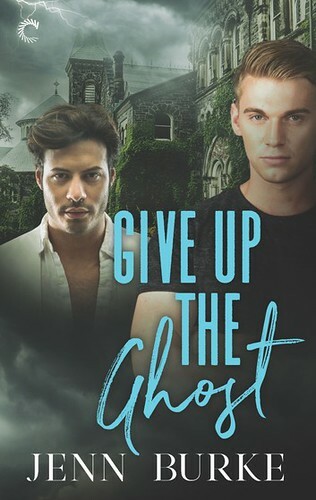 Lexxie @ (un)Conventional Bookviews recently posted…Weekend Wrap-up #233 – Spring Has Spr… *atchoo* … ung! 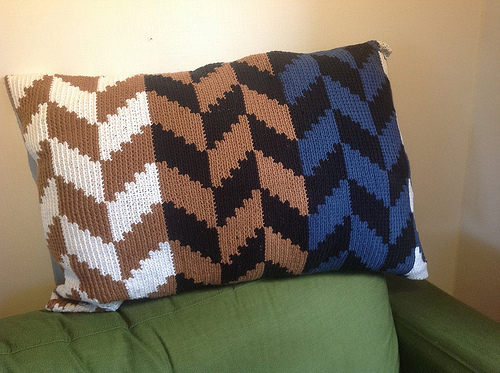 I also stuck with the same color scheme mostly as I already liked my color scheme. I don’t make a lot of changes usually, if you’re happy with your design why change it? I am really happy to have a new mascot and some small changes to my design now :). 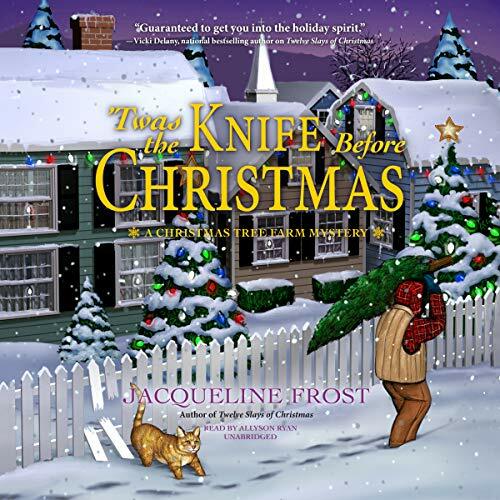 Evelina @ AvalinahsBooks recently posted…[Discussion] My Fears as a Book Blogger. Do You Have These Too? Thanks! I am glad you like the new header. 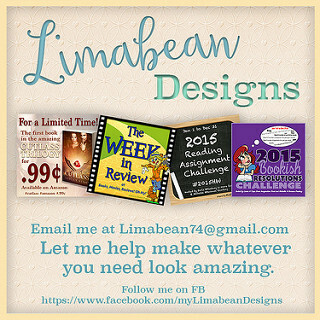 Kimberly @ Caffeinated Reviewer recently posted…Sunday Post #313 Longest Week Ever! I think it’s an Alpaca, but it could just as well be a Llama as with the cartoon image it’s hard to tell. It’s fun to freshen up the blog a bit and I might still try out adding some more blue, but I am just happy to have the new images up for now :). That’s why I wanted to get rid of the pony. A friend (who does love my little pony) designed the pony for me and I liked it, so I decided to use it for my blog when I just started. And I never really got around/ got the urge to change it until now. I love the new design with the llama. It’s super cute! 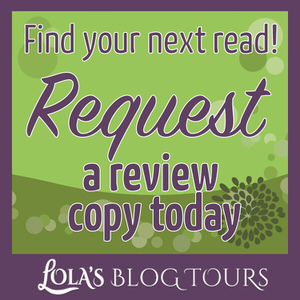 Kristin (Book Sniffers Anonymous) recently posted…Take me out to the ball game! OMG THE ALPACA/LLAMA IS ADORABLE. Gah! I love sheep, alpaca, and llamas. This is such a cute transition for you! I changed my blog design last year and I’m super happy with how my site looks now. I don’t think I’ll be changing it for some time. I love that you have your reads divided between your Kobo reader and your iPad. That’s a great idea. It sure is adorable :). I am really happy with the new logo. I also like sheep, alpaca and llamas. We were looking for a sheep at first, but then my designer found these alpaca’s and I thought that would work perfect for the blog. I don’t think I will be changing my design for a long time now. I wanted a new logo, but for the rest I am pretty happy with my design. Yeah I’ve been dividing my read for a few years now this way and it really works for me. the Kobo book I only read in the evening before bed as the e-ink screen reads best then. My ipad book I read during breakfast and lunch as it has a nice stand and I don’t mind if I get food on it now and then. Ooh I’m really liking the new design. It’s very cute, and the colors are cool! I’m sorry you’re still in a weird reading mood. That happens, but it’s never fun! Thanks! I am glad to hear you like the new design. I wanted to stick with the green, but change things up and the blue seemed a good addition. Sorry I haven’t been around in a while, I’ve gotten myself into a bit of a bad situation and I’ve got a backlog of posts to write. Plus, sometimes work gets too much and when I get home I am too tired to do anything. But I am going to catch up! Alpacas are so cute, so I was excited my designer found this image for my new logo :). Sorry to hear you have a backlog of posts to write. I also have trouble to make time for blog visiting after a day of work, so I can totally understand that. I hope you get to catch up soon! I know I already said this on Twitter, but the alpaca is super cute! Glad you had a normal week this week 🙂 Sorry about the weird reading mood persisting. I don’t even know what mood I’m in right now, but I’m in the middle of a book, so I’m just sticking to it lol. HAve a great week! Thanks! I also think the alpaca is really cute and I am so happy with my new logo :). It was nice to have a normal week. i think the weird reading mood is getting a bit less again, this week was better. It sure is difficult to figure out what you’re in the mood for sometimes. I changed mine sometime last year. I was going with the Responsive coding, but all the branding wisdom seems to be “every web property you own must be similar”. Problem is, there are very few responsive code blog templates that aren’t glaring white (which I hate, and which doesn’t fit my brand). I can’t make heads or tails of the responsive coding css to know where to plug the exact backgrounds from my site into my blog template, so I had to just go with something similar in shades. (Trust me, glaring white doesn’t fit my brand–except insofar as it’s the same colors as any page in any book). The closest I found was…well, the dark starry template I have on my blog now. Responsive coding is useful for phone viewing, I suppose, but omg, is it a pain! I think response themes are getting more common nowadays, but it can be hard to find a fitting theme or be able to change it enough. I also only have limited CSS knowledge. Glad to hear you found something that worked for your blog. My reading has been a little weird lately too. I’ve read some good books, but just not exactly what I was looking for. I have too many books up for review to go by mood right now. I’ll have to check out your cookie recipe this week as I love coconut and chocolate. 🙂 I’ll also check out your tour events. I’ve been so busy and my inbox has been neglected. It’s difficult when you can’t quite find the right book for what you’re looking for. I also have a bunch of review books lined up so I am just reading those for now. I also like chocolate and coconut and it was so nice to find a recipe that combines the two. Thanks for checking out my tour events! The new design is super cute. Congrats 🙂 Hope you have a great week, Lola!